Is the A380 facing the final curtain? so, do they still have to repay the launch aid? Production to end in 2021; a pity, it's a lovely plane for passengers, very quiet. But then, so is the A350. Couldn't agree more. The 380 is magnificent but on a trip last month my first ride in a 350 was a revelation. If this is the standard then the proliferation of bland twins need not be all dull. I expect the 777X will similarly move the game on. And, arguably, a somewhat Pyrrhic victory for Emirates. 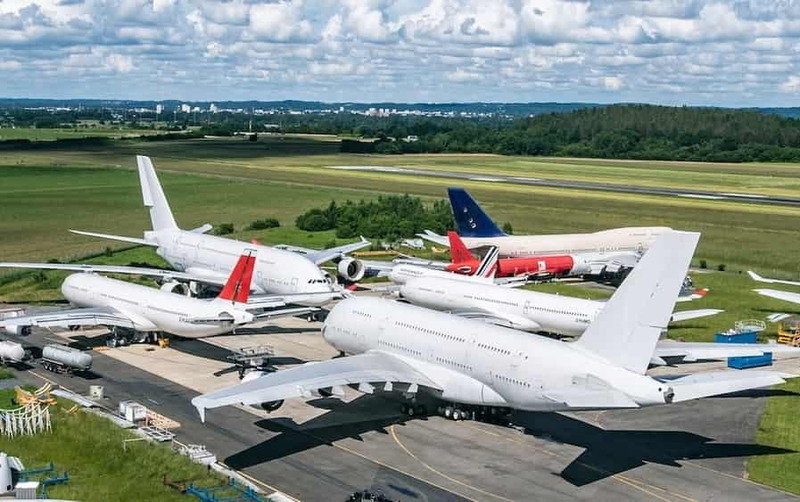 Their strategy of playing hardball with RR and Airbus has left them with the world's largest fleet of orphans. That is a pertinent point Dave. That EK grew rather rapidly post GFC saw them replace, at least in the antipodes, alliances with 'greater fools' lots of additional capacity and ASK/RPK being the result. That their operating metrics softened in the recent past is suggestive that perhaps scale is an issue. Additionally, one does wonder what attractions, other than fuel, catering and freight does the UAE offer? The question is whether they have been caught wrong footed, adding that capacity precisely when fleet metrics and the market are not favouring their current order book. Being tossed about by its wake at FL400 I´m looking forward to the day these beasts are gone. The wake depends on phase of flight. I think His Dudeness referred to them in cruise flight, when A380 is the culprit of the two. Whereas ATC Watcher, you likely refer to them on approach, where the B757 is the culprit of the two. Yeah yeah, remind me of my age. Thanks. We were thrown to about 60° Bank at FL400 at about 7nm / 1000 ft separation acc. to radar. We were lucky, neither the airframe nor pax were hurt. If someone would have without seat belt / standing, it could have been a different outcome. If I did, you be moaning that I block the airways for ya. So I´m friendly and stay below 450 and whats your way of thanking me ? I'm surprised at the talk of "failure". It didn't meet the target of 1,500 sales, but was that target ever realistic in the first place? There will still be over 300 A380s flying once production ceases, with all the maintenance that goes with it. I don't expect to see many A380s sitting in the Arizona desert when they'll still be very useful. I'm surprised at the talk of "failure". It lost its manufacturer a lot of money. In commercial terms it was a failure. No great future as a freighter in its old age, either. Unless someone comes up with what is likely to be a really expensive make-over. I don't expect to see many A380s sitting in the Arizona desert when they'll still be very useful. No don't think so either, probably just the weight of reinforcing the upper and lower deck floors would make it uneconomical and that's before you take into account the possible C of G problems as faced during the A320A321 conversion.